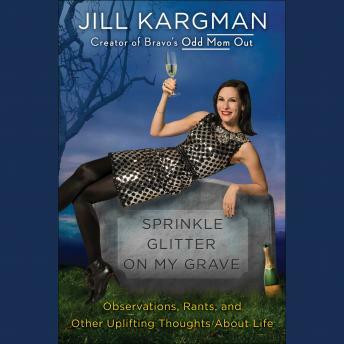 The star of Bravo’s breakout scripted comedy Odd Mom Out shares her razor-sharp wit and backhanded wisdom in a deeply observed and outrageously funny collection of musings, lists, essays, and outrages. From a hellish visit to the Happiest Place on Earth to her unusual wedding night with Russell Crowe to her adrenaline-pumping Gay Pride parade experience, Sprinkle Glitter on My Grave is as wonderfully indecent and entertaining as a spring break road trip with your best friend. Assuming your best friend is the kind of gal who still wears a motorcycle jacket to pick up the kids at school.